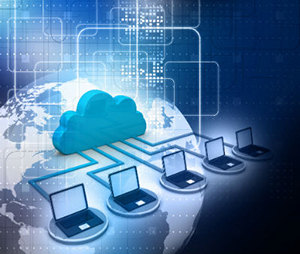 Is Cloud Computing the Next Step for Your Business? Just like most of us you probably spend your free time browsing the internet and reading lots of news stories. It seems like every day there is some disaster or another being reported, whether it's a major natural disaster or a local fire. You've may have often wondered if moving your business over to cloud computing would be the right way to protect your valuable data in the event of a disaster like this. But, maybe you're not sure if it is the right choice for you. While there are huge upsides to making a move like this, such as freeing you up and giving you more mobility to access your applications from any device with an internet connection, there may be some instances in which switching to the cloud may not be the right move for your business. But how do you know? That's where PTS comes in. We are happy to provide any business that has 10 or more PCs and a server with a FREE Cloud Readiness Assessment. We will send one of our experts to your office to consider every aspect of what makes your business tick. We will not only look at your computer network, but we will also talk to you about how you work. For instance, a business that deals with large graphics files might find that moving everything to the cloud is too slow for their needs. We can talk this all over with you and determine exactly what the right course of action is. Learn more about how PTS approaches cloud computing and don't hesitate to contact us about whether making the switch is right for you. This could be the first step in revolutionizing how you do business!